Alhamdulillah to Allah for everything.. Here, Da’Knit wants to wish everyone Selamat Menyambut Hari Raya Aidilfitri, Maaf Zahir and Batin. Semoga berbahagia di hari yang mulia nanti. Mohon maaf jika selama ini Da’Knit melakukan kesilapan kepada semua teman-teman ya… semoga Allah sentiasa mempermudahkan segala urusan kita, dunia dan akhirat. Amin ya rabbal’alamin. 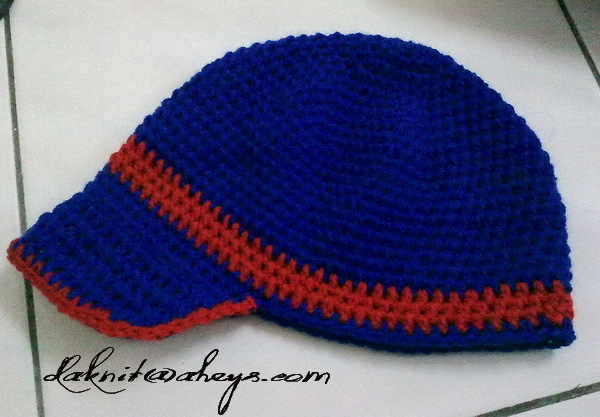 This Blue Red Brim is for 2-4 years old boy..
And I’m happy the owner loves them all. Alhamdulillah.. we’ve been fasting for 14 days now.. may Allah accept our fasting and all the amalan we do in this holy month, insyaAllah. Assalamualaikum semua.. how are you? Wish that everyone is doing good and fine.. insyaAllah. 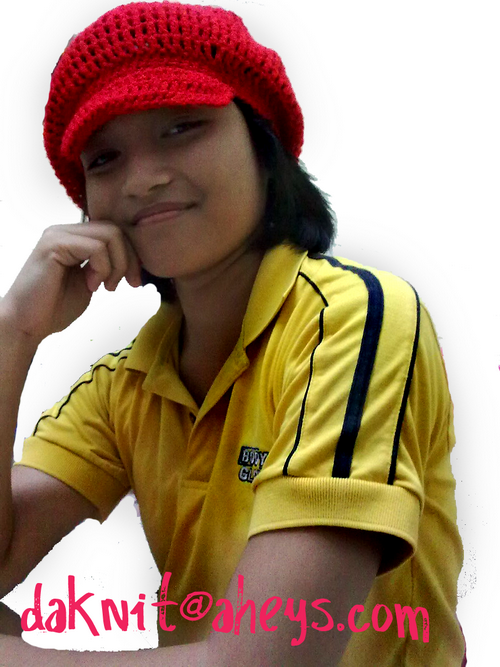 Alhamdulillah.. that I finished my first 2 hats that requested by my colleague.. 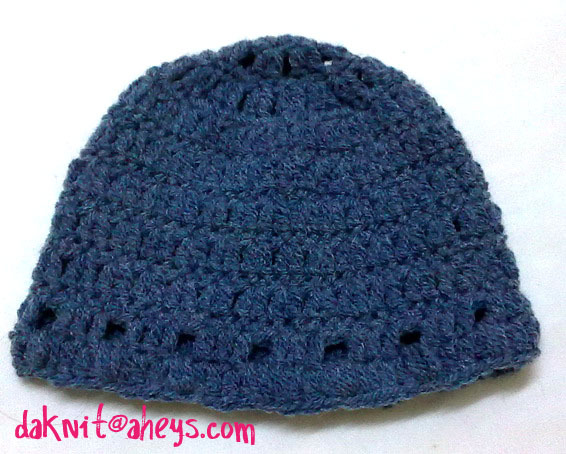 This is a baby hat.. for 0-12 months old baby boy..
Another newsboy cap for a colleague.. modeled by my lil sis 🙂 thanks for the help my dearest sis! I really love this pattern so much.. simple, trendy for either boys or girls. 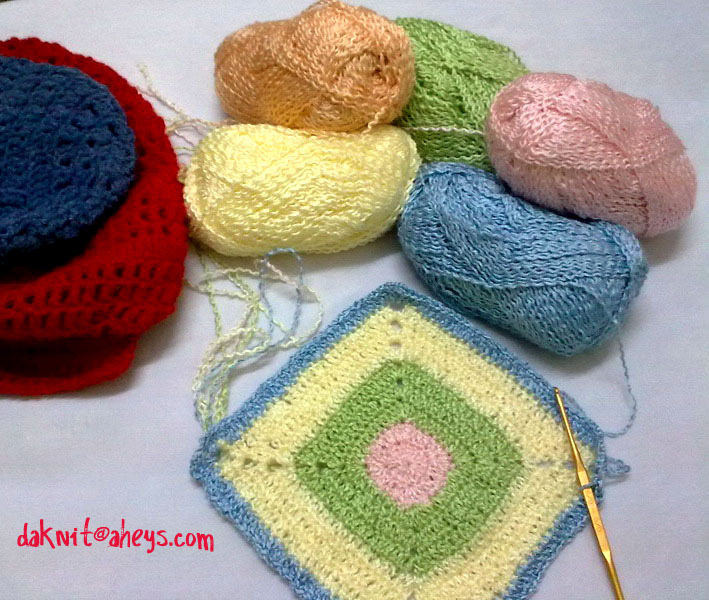 I have one more hat to go then another 5 more in a que.. insyaAllah, hope I can finish them all before raya. 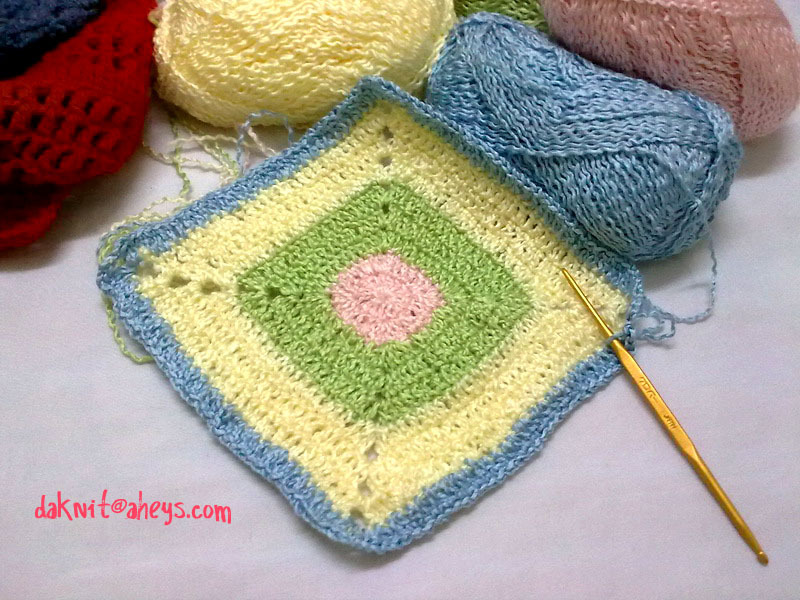 Anyone who feels interested to try out this yarn, feel free to visit our Da’Knit Online Store at http://sindarery.aheys.com/index.php?main_page=index&cPath=14&zenid=d69775762ea4975d3c0f7e906d66890c for a few balls and mix colours. Assalamualaikum and have a good terawih everyone! 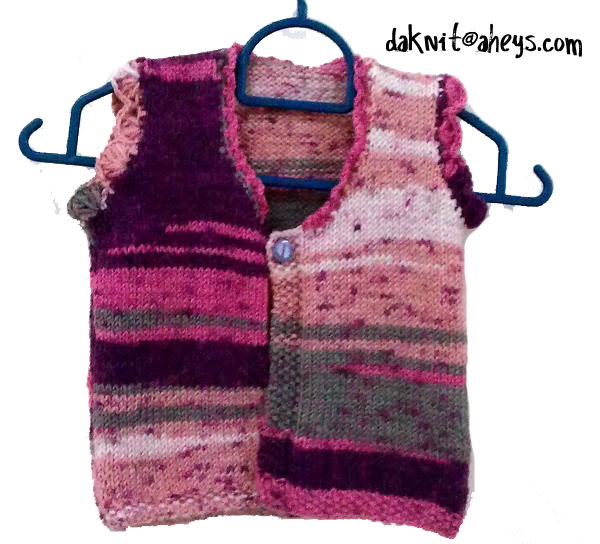 Alhamdulillah.. finally i’m done with my second vest.. with my own pattern 🙂 combination of knitting and crochet! 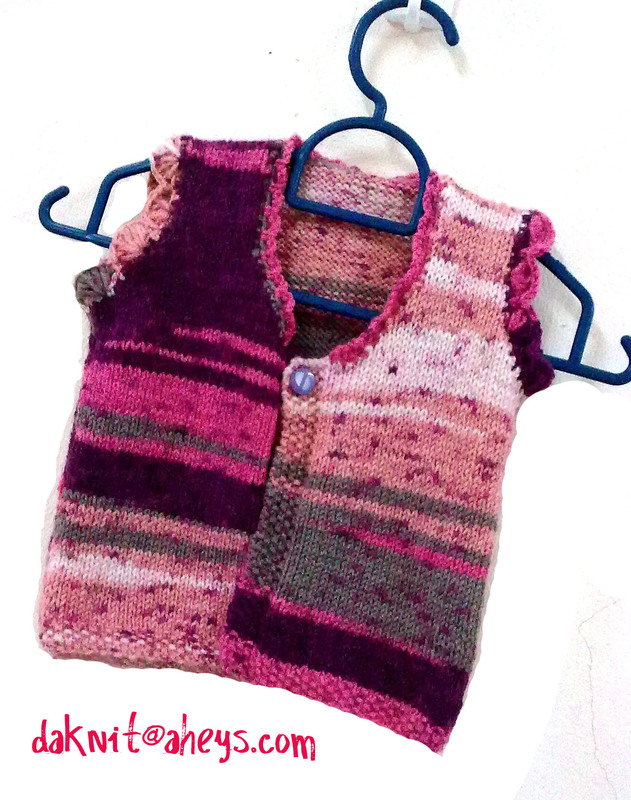 I really hope kak Natasha will be happy with both vests. 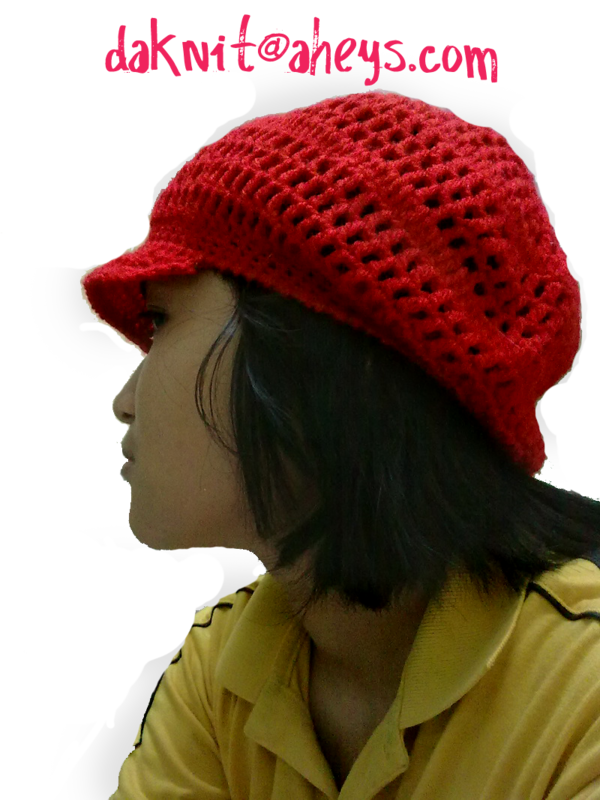 I did my best to follow how she requested.. this supposedly had to be done one month earlier.. but due to the buzzziness.. I couldn’t make it in time 🙁 kak Natasha.. i am really sorry.. thank you so much for your understanding and patient. I really really appreciate it. May Allah never stop blessing us, always. Amin amin amin.. Let’s pray together. p/s: I’m happy now that I’m done with my online order.. now, need to continue with offline order requested by colleagues..